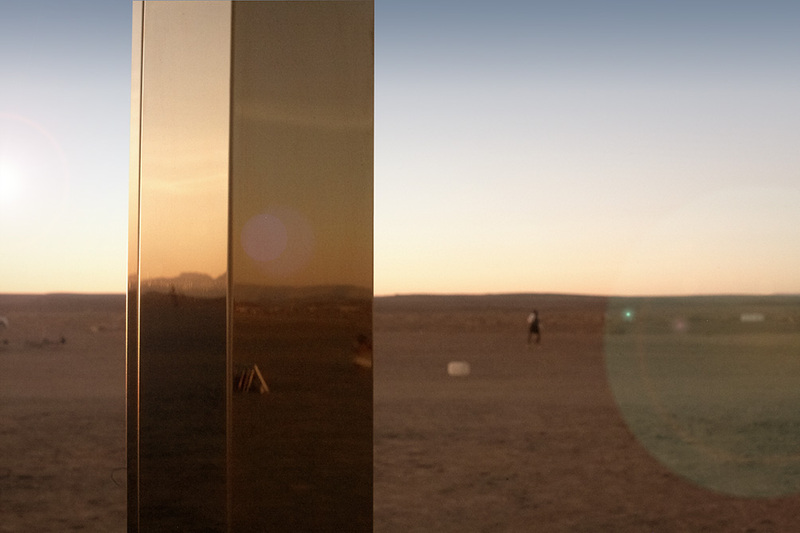 The Geographers is a project that investigates the landscape of nomadic individuals. They explore how the notion of home comes to be understood and defined by the land one lives on. 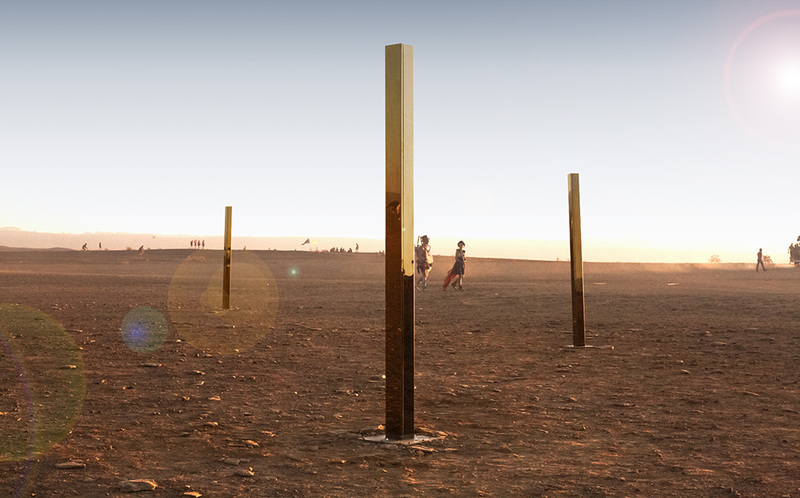 The project appears as three beautiful gold steel columns installed in a landscape. Each column contains a delicately composed audio story intertwined with harmonic notes that can be played with a simple touch. These compositions are the result of a journey Burchell embarked on through parts of South Africa to interview and audio capture stories. 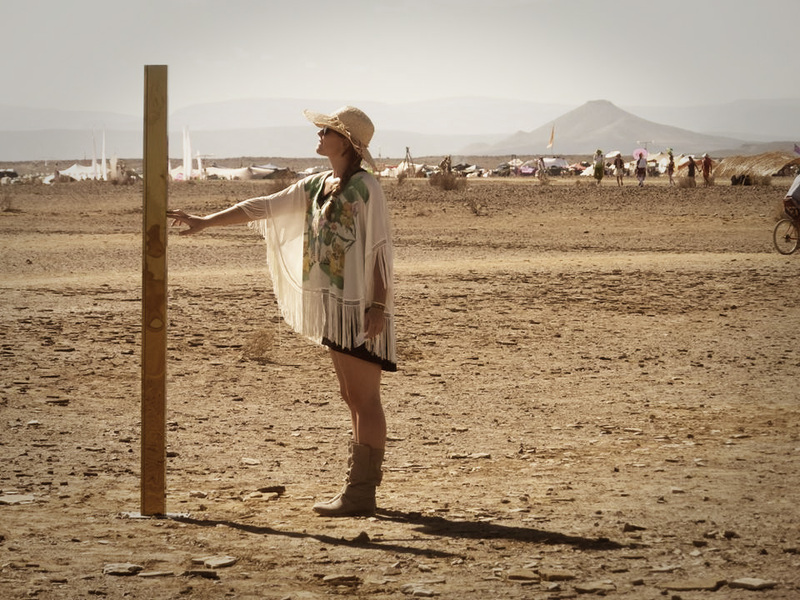 The first installation of The Geographers took place in the Karoo desert revealing recordings from the temporal town of Afrika Burn 2015. The Geographers is funded by Afrika Burn Art Grant, Ingmar Engineering and DC & Solar. A special thanks to Leinster Grimes for his continued collaboration on the electronic engineering and to A Fire In The Sky crew for their assistence with installing The Geographers on mars (Afrika Burn).